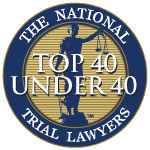 Civil & Commercial Litigation Lawyers in Littleton | Miller & Steiert, P.C. Franchise, Construction, Real Estate Litigation & More. Mistakes can be a fact of life in business. Some, however, are willful breaches of contract, when the breaching party decides that failing to perform would be more advantageous than performing under the contract. In such cases, one party benefits unfairly at the expense of the other. Seeking compensation for unfair losses is as much a fact of business life as those circumstances that cause the losses. While having a good contract that is straightforward and enforceable goes a long way toward preventing litigation, having a good attorney who can actually help you enforce that contract when the time comes is just as important. 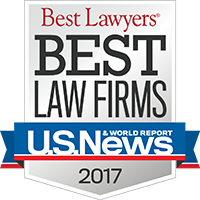 In a business dispute, having an attorney with the experience to provide creative legal solutions that another attorney might miss can be critical. The attorneys at Miller & Steiert have that experience. Our experienced attorneys always attempt to resolve matters in the most efficient and effective manner, through negotiation or some form of alternative dispute resolution. Sometimes there is no alternative but to file suit which may bring the opposing party to a reasonable agreement. 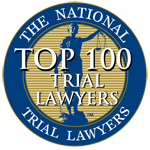 Most litigation matters do not, in fact, end in a trial with verdict or judgment. Rather, as pre-trial process goes on, the strength of each side’s case becomes more apparent, enabling a better assessment of potential outcomes. Our pre-trial and trial court skills are superlative. We focus on the best outcome for you, whether through a settlement or trial. Miller & Steiert, P.C. 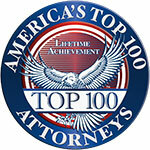 is an established and respected law firm founded in 1959. Commitment to our individual, company and corporate corporation clients forms the foundation of our practices. We limit our caseload because we insist on devoting the necessary time and focus on each client’s case.